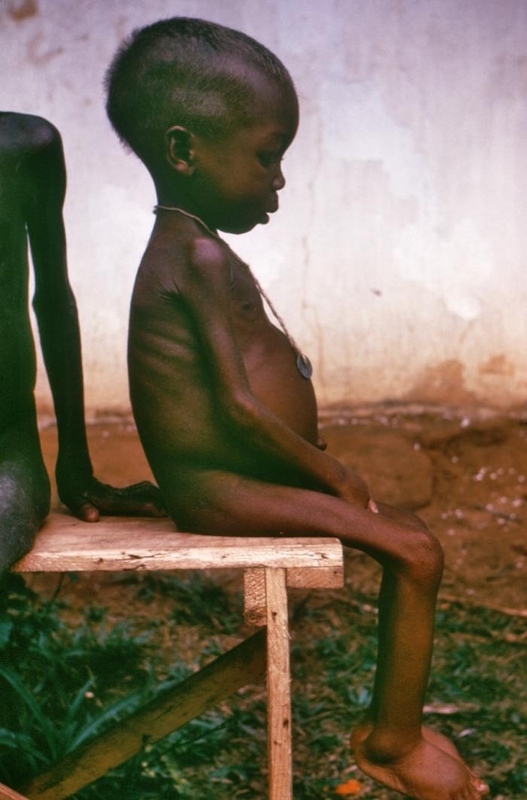 A child suffering from kwashiorkor. Here’s a surprising result from a new NIH-funded study: a poor diet isn’t the only cause of severe malnutrition. It seems that a ‘bad’ assortment of microbes in the intestine can conspire with a nutrient poor diet to promote and perpetuate malnutrition .